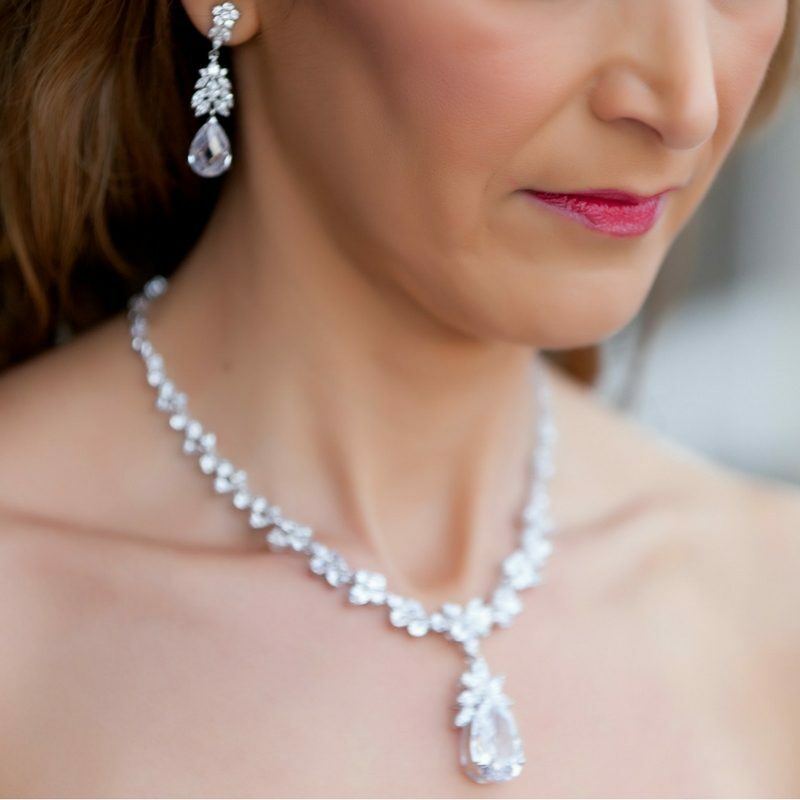 Drop Pendant Necklace - Simply stunning for any bride after a statement. Pendant Drop (including necklace detail at centre front) – 5cm long x 1.8cm wide (at widest point). 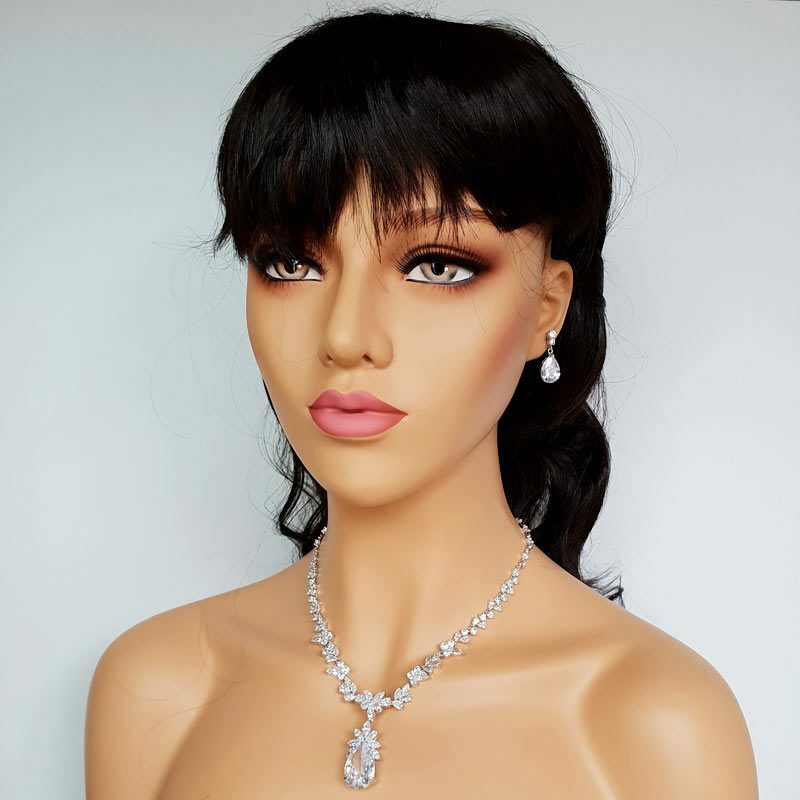 Necklace – 41.5cm – 46.5 (adjustable). 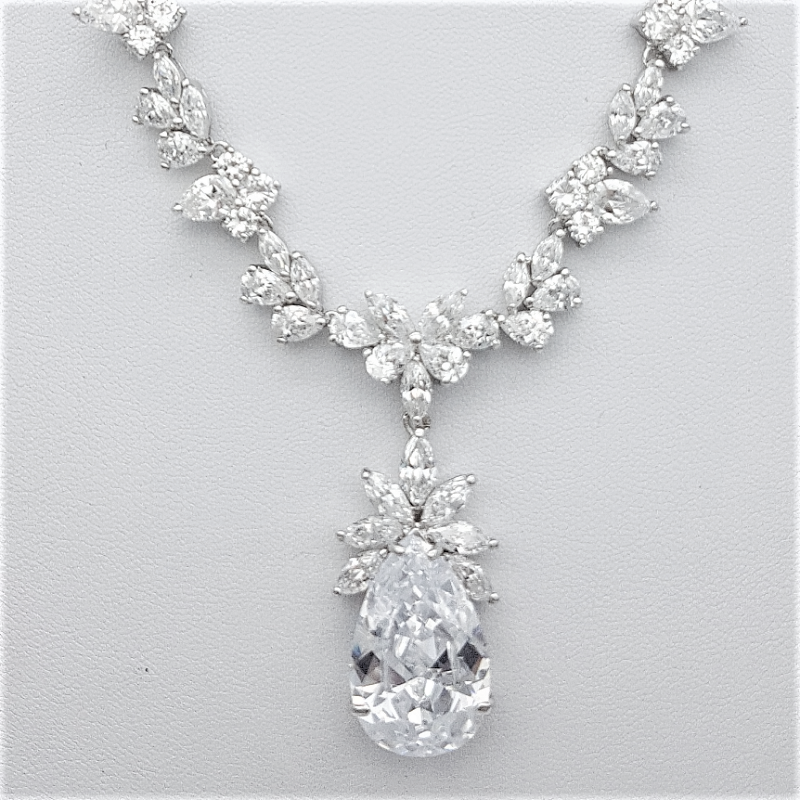 Love, love, love this necklace! 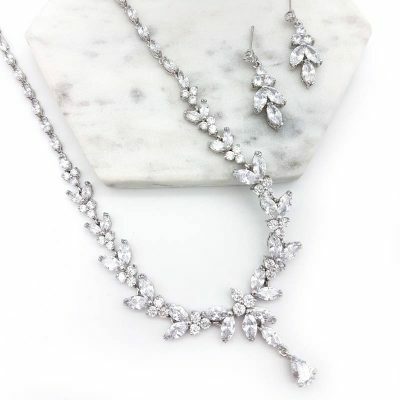 It’s bold yet feminine and looks gorgeous on any open decolletage. 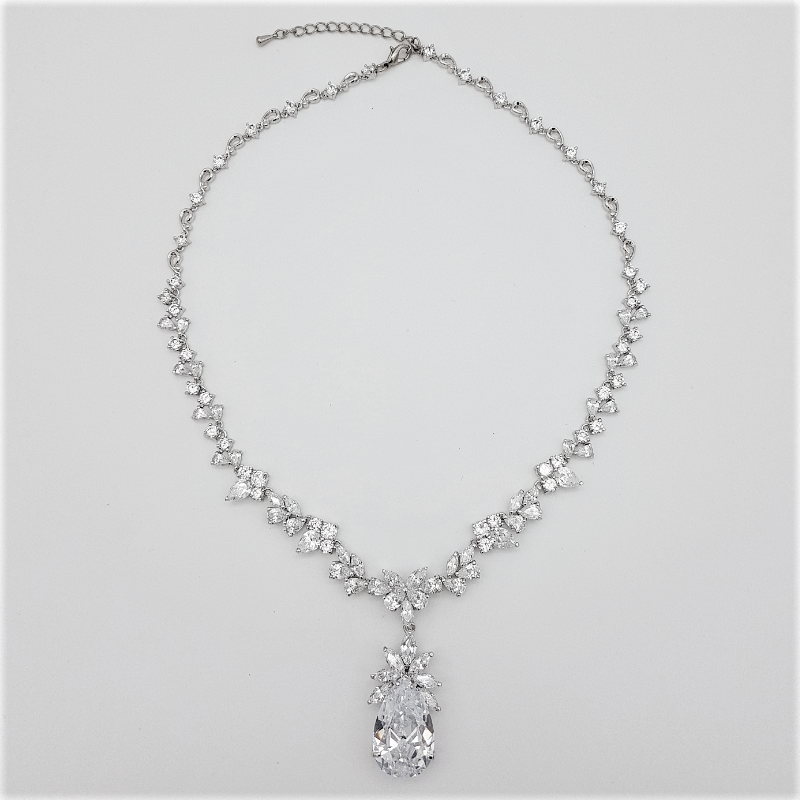 This drop pendant necklace photographs beautifully and will be a practical piece long after your wedding day to compliment many a formal occasion. 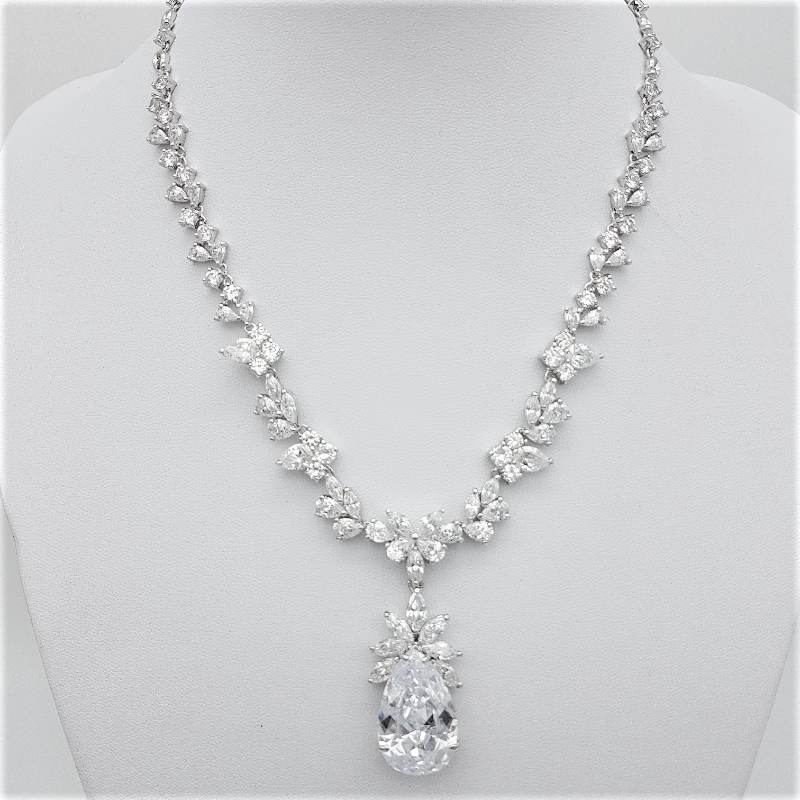 It is stunning quality encrusted with cubic zirconias all the way around the neck. 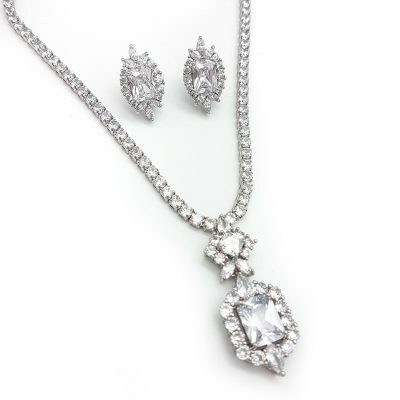 You will fall in love with this piece as much as we have.